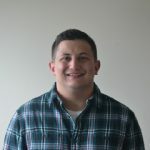 Special to The Sun: Rowan University student Luke Lichter portrays the Rowan Prof, while a member of the Hurffville mascot team portrays Hero during their mascot class on Tuesday. 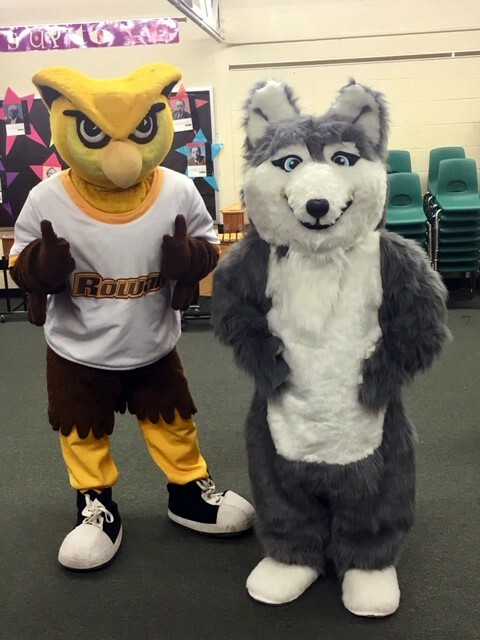 Hurffville Husky, meet Rowan Prof. Class was in session on Oct. 16, at Hurffville Elementary School, as a team of fifth-grade students who serve on the “mascot team” received training from Rowan University counterpart Luke Lichter. Lichter visited Hurffville to teach the fifth-graders some of the things they should and should not do when working as the Hurffville Husky mascot, “Hero.” Call it a cram session in mascotting.